Hawaii Rain Gutters is located in Mililani, HI. We provide our professional gutter services to residents and businesses in the O'ahu and Honolulu County area. Rain gutters in Hawaii are a crucial investment for protecting your house from the various types of weather conditions. These channels might seem like a small part of your home, but they are the most critical component of the structure’s roofing system. A professionally installed seamless gutter is a smart long-term investment for the Hawaiin homeowner. 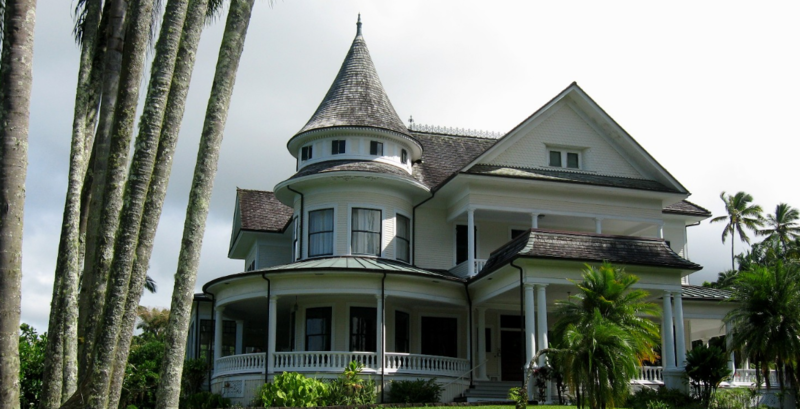 How Important Are Rain Gutters to the Condition of Your House in Hawaii? The weather in Hawaii is always changing, and most of the time, it rains at night. Rain gutters can help you avoid structural damage to your home. When water starts to pool around the foundation of a home, there are serious architectural damages that can occur. If water starts to leak into the joints and the frame around the house, the entire structure will be compromised. With a climate that can receive up to 10 downpours in a day, the severity of these damages changes from slight to critical. In some more serious cases, these leaks paired with the humidity can become a perfect storm for mold growth. Fungus and mildew development can change your house from a beautiful home into a health hazard that needs to be condemned. Dealing with mold remediation can become extremely costly. Unfortunately, we see this happen a lot throughout the communities all over Honolulu County. Seamless gutters are mainly designed to collect the rain and direct it to the ground away from the foundation to drain properly. Not only do our pipes collect rain water, but they will also collect debris that can jeopardize the stability of your home. That is why it is important to check your gutters from time to time so that you are not surprised by a clog due to falling leafs and sticks. Our Hawaiin rain gutters help prevent and protect basements from flooding, soil erosion, and from a hazarded infrastructure. The best gutters in Hawaii will lessen the depreciation of your home that is caused by storms, such as paint damage, mold damage, windows, doors and siding scratches. One of the best qualities is that these pipes help prevent your walkway, sidewalks, and driveway from settling and landscaping from erosion. Honolulu - O'ahu and Honolulu County's largest city, has damaging rains during the winter months and tends to be very dry during the summer. Kahala - Home of the Kahala Hotel and Resort, we provide installation and repair to Honolulu's Kahala residents. Mililani - We provide our complete services to the home of Mililani Mauka and Mililani Town residents. Kaneohe - Located on the windward side of O'ahu, Kaneohe locals can contact us for both installation and repair. We also service the Diamond Head, Kailua, Pearl City, Ewa Beach, Ewa Gentry, Waipahu, Mililani Mauka and Kapolei areas. Here at Hawaii Rain Gutters, we provide the best gutter installation, replacement, repairs, and top notch gutter cleaning services. So if you are in need of a professional gutter company, give us a call today. We guarantee you will love the results.